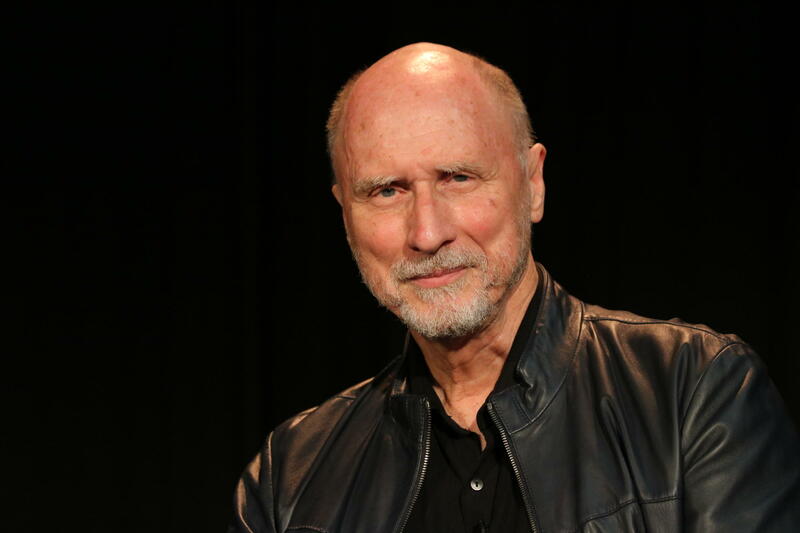 On this episode of Arts & Letters, we talk with Pulitzer Prize-winning author Robert Olen Butler about his many books informed by theories on desire, life's chance meetings and conscious decisions that inform sometimes unconscious occurrences in the world. A life in letters, the varied novels, the wildly inventive short stories, the radical pedagogy, please join us for a retrospective on his work thus far--Robert Olen Butler in his own words. This episode will broadcast on Friday, February 8 at 7:00pm cst and Sunday, February 10 at 9:00pm cst on KUAR. It will also be available for streaming on your favorite podcast platforms after Friday’s broadcast. “He notices him instantly, though the man is making eye contact with none of the scattered few of them, the health-conscious members of the co-op, dining by the pound from the hot buffet. It's a chilly North Florida January twilight, but he's clearly overbundled, perhaps from the cold drilling deep into his bones because of a life lived mostly outside. Or perhaps he simply needs to carry all his clothes around with him. 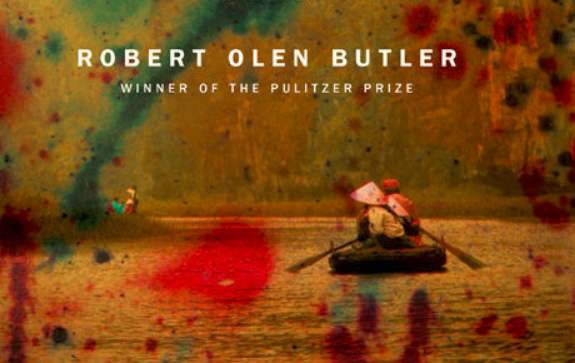 Robert Olen Butler has published seventeen novels and six volumes of short stories, one of which, A Good Scent from a Strange Mountain, won the 1993 Pulitzer Prize. 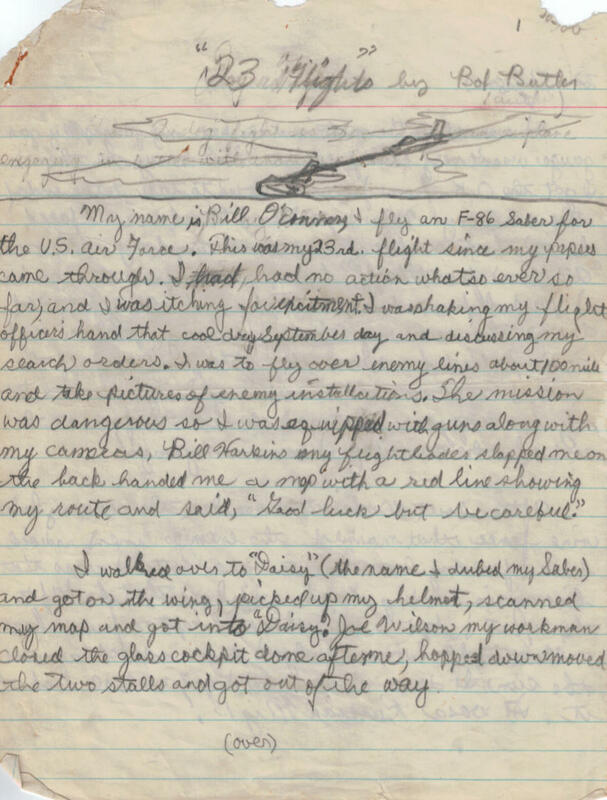 "23 Flights" as drafted by Butler in 5th grade. Among his other awards are a Guggenheim Fellowship in fiction, the Richard and Hinda Rosenthal Foundation Award from the American Academy of Arts and Letters, two National Magazine Awards, and the 2013 F. Scott Fitzgerald Award for Outstanding Achievement in American Literature. His works have been translated into twenty-one languages. He teaches fiction writing at Florida State University. A special thanks to Travis Bowman, whose music serves as the score. Bowman is an acoustic instrumentalist hailing from Little Rock, Arkansas. First inspired by blues guitarists such as Stevie Ray Vaughan, Travis turned to fingerstyle guitar at the age of 15. 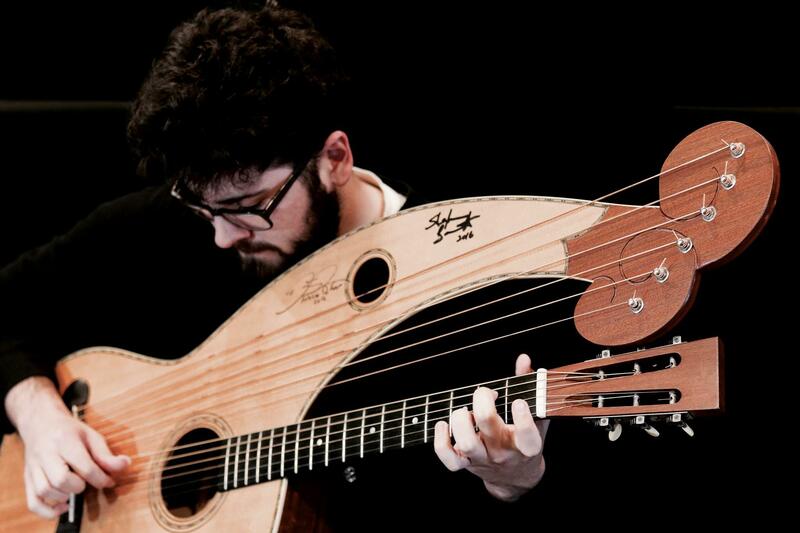 Bowman performing on the harp guitar. He has since won national and international prestigious awards such as the Ernie Ball Acoustic Prodigy (2014), the Arkansas State Fingerstyle Championship (2017), and the International Fingerpicking Championship at Walnut Valley (2018). Husband and wife duo, Michael & Ashley Shackelford. With graditue to Galactic Engineers of Magnetic Sounds for contributing music to the show. 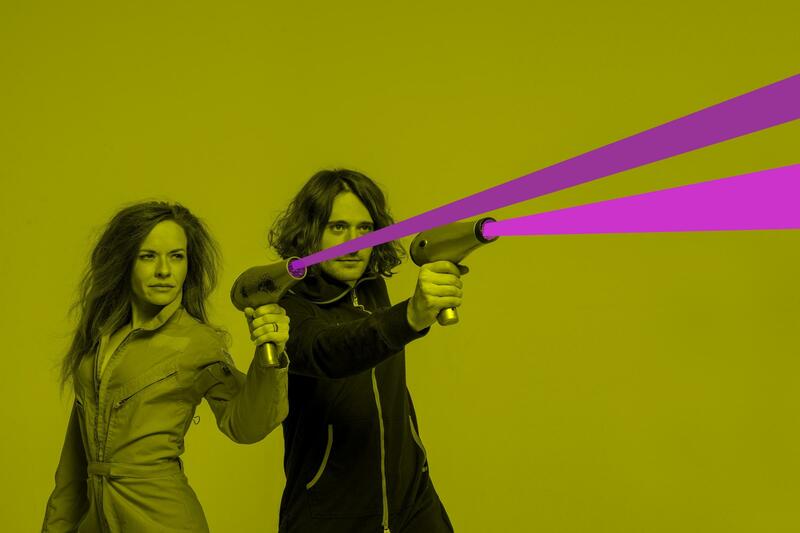 G.E.M.S., known for their combined electronic music with garage rock and created “Dark Pop” from outer space, is a husband & wife duo based out of Birmingham, AL comprised of Michael & Ashley Shackelford. Listen to the song, "Chill Attack" by G.E.M.S. Thank you voice actors Gary Hinton, Logan Wells, Richard Wells, Tony Phan, Victor Phan, Thu Nguyen, Ri Nguyen, Beth Wells, Laurie Pierce, Ann Owen, Keith Robinson, Trey Philpotts, Mary Ellen Kubit, Terry Wright, Linda Calcote Hehemann, and Devin Robertson. On this episode of Arts & Letters, we talk with Little Rock novelist, short story writer, prodigious list maker, and former 7th grader Kevin Brockmeier. He is the author of several national bestselling books of fiction including, A Brief History of the Dead, The View from the Seventh Layer, and The Illumination. His latest effort recounts a character named Kevin Brockmeier and his present tense misadventures throughout his 7th grade year growing up in Little Rock. On this episode of Arts & Letters, we’ll be featuring biographer Ben Johnson. His biography, Fierce Solitude, published by the University of Arkansas Press, remembers to tumultuous life of Arkansas Pulitzer Prize winning poet, John Gould Fletcher. Though not widely know today, Fletcher was very influential in mid-twentieth centery literary circles--one of the shock troops for free-verse imagist lyric; a fervent Agrarian and a paradox--a man filled with contradictions that have baffled scholars and deepened his obscurity.